Paul Beckwith, -10 Oct 18 As I filmed today, yet another massive hurricane has just come ashore in Florida’s panhandle. Hurricane Michael, at 155 mph (1 mph shy of Cat. 5) appeared almost out of nowhere and strengthened rapidly in the way too-warm Gulf of Mexico. This video is not just on this storm, but primarily on the human/media/global storm that has arisen with the release of the IPCC 1.5C report on our present state of the climate system, and whether or not we can keep global temperature rise to 1.5C or even to 2C. Company reminds customers to stay informed and safe during and after storm Ciston PR Newswire ATLANTA, Oct. 10, 2018 /PRNewswire/ — As Hurricane Michael impacts the Gulf Coast, Georgia Power is ready to respond to power outages as quickly and safely as possible with nearly 3,000 personnel from the company and assisting utilities. Crews are continuing to mobilize from unaffected areas across Georgia over the next 24 hours and are strategically positioning throughout the state ready to re-enter central and south Georgia, and other areas, as Hurricane Michael subsides. BREAKING-NUCLEAR PLANT-CAT5 HURRICANE MICHAEL-HISTORY BOOKS! Georgia Power ATLANTA, Oct. 10, 2018 /PRNewswire/ — Hurricane Michael arrived in Georgia this evening and is impacting service to Georgia Power customers. The company is prepared to respond with approximately 3,900 personnel from the company, other Southern Company operating companies and assisting utilities ready to restore power as quickly and safely as possible following the storm. All of Georgia Power’s resources are being held and dedicated to storm restoration efforts in the state following Hurricane Michael. Georgia Power expects damage due to high winds, heavy rain and fallen trees. Once the storm passes, the company must wait until conditions are safe for damage assessment teams to enter the impacted zones and begin the restoration process, followed by repair crews, which could take several days, depending on the amount of damage and safe access to the area. As weather conditions improve, restoration efforts will accelerate, but it could take an extended period of time for all customers to be restored……. By Thomas Nilsen, 10 Oct 18, -The primary goals for the Russian researchers were to study whether hundreds of containers with dumped radioactive waste in the Kara Sea were leaking or not. Sailing the Kara Sea and the bays along the east coast of Novaya Zemlya from August 17th to September 20th, the researchers on board “Akademik Keldysh” conclude there are good reasons to continue monitoring the dumped containers, but preliminary results gives no indications of leakages. However, especially one barge that was discovered at 400 meters depth, filled with radioactive waste containers, requires special attention for the future. Underwater footages show the barge is destroyed and some containers have fallen out and are spread on the seafloor, news agency TASSreports. 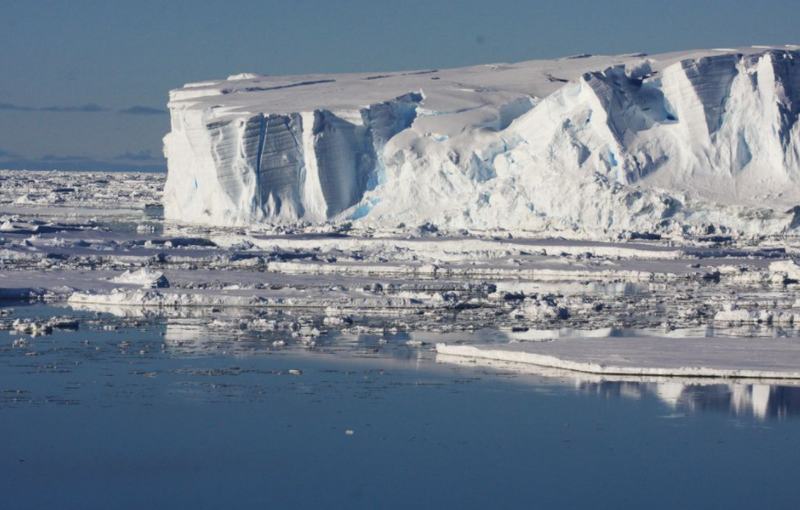 More worrying is the radiation discovered in the glaciers stretching out in the waters. From 1957 to 1962, a total of 86 nuclear bomb tests were carried out in the atmosphere at Novaya Zemlya. The tests include the largest nuclear devices ever exploded, like the so-called 58 megatons Tsar-bomb on October 30, 1961. Most bombs were exploded above ground at the northern polygon near the Matotchin Shar dividing the northern and southern island of the archipelago. Wind direction, for the most, was towards the north when the tests took place. It is the fallout from these tests that now are about to melt out to the sea. The researchers on board “Akademik Keldysh” took samples for radioactivity from the Nally glacier in the Blagopoluchiya Bay, just on the northern boundaries of the test site for atmospheric bombs 60 years back in history. Deputy Director of the Institute of Oceanology, Mikhail Flint, says to TASS that high levels of radioactivity were found. “On the Novaya Zemlya, the wind direction is such that most of the pollution is accumulated on the northern island and the northern ice sheet. We have studied one of the glaciers that could carry such pollution – the Nally Glacier in the Blagopoluchiye Bay, and in this glacier we found parts that hold big concentrations of radioactivity,” Mikhail Flint tells. Explaining how the glaciers in the area are retreating, the researchers tell how “Akademik Keldysh” sailed to the point in Blagopoluchiye Bay where the Vershinsky glacier in 2014 ended in the sea. Today, that spot was more than 2 kilometers out from where the terminus of the glacier is now. The majority of the northern island on Novaya Zemlya is covered by ice and glaciers have their terminus on both the eastern and western shores. That means both to the Barents- and Kara Seas. While there are close to nothing of commercial fisheries in the Kara Sea, the Barents Sea has a high biological production and the fisheries, in particular the cod fisheries, are of great importance for both Norway and Russia. https://www3.nhk.or.jp/nhkworld/en/news/20181010_27/ A US report says the country held a subcritical nuclear test in the state of Nevada last December. The test was the first of its kind in 5 years, the 28th by the United States, and the first under the administration of President Donald Trump. According to the report by the Department of Energy’s National Nuclear Security Administration, the experiment called Vega was held at a nuclear test site in Nevada. Vega involved new explosives used to create powerful impacts on plutonium, and an examination of a plutonium implosion. The NNSA called the test an important step toward enhancing the performance of nuclear weapons. The US government in February announced a new nuclear strategy of enhancing deterrence capabilities to counter Russia and China, by such means as increasing low-yield nuclear arsenals. The move marks a shift from the policy of former president Barack Obama, who advocated a world without nuclear weapons. Observers say antinuclear groups are expected to criticize the Trump administration for boosting nuclear weapon capabilities while pressing for denuclearization of North Korea. France is being taken to the International Criminal Court for nuclear weapons tests in French Polynesia. France has long denied responsibility for the impacts of the tests and only recently began compensating civilians. France is being taken to the International Criminal Court (ICC) for carrying out nuclear weapons tests in French Polynesia, a Polynesian opposition leader announced on Tuesday. Oscar Temaru, the archipelago’s former president and current leader of the Tavini Huiraatira Party, announced the move during a United Nations committee dealing with decolonization. Temaru accused France of “crimes against humanity” and said that he hopes to hold French presidents accountable for the nuclear tests with the ICC complaint. “We owe it to all the people who died from the consequences of nuclear colonialism,” he told the UN committee. Maxime Chan from Te Ora Naho, an association for the protection of the environment in French Polynesia, told the UN that there had been 368 instances of radioactive fallout from the tests and that radioactive waste had also been discharged into the ocean — violating international rules. The French territory, currently home to 290,000 people, is best known for the popular tourist island of Tahiti, but its atolls of Mururoa and Fangataufa were used for decades for nuclear tests. France carried out 193 nuclear weapons tests on islands in the archipelago between 1960 and 1996 until French President Jacques Chirac halted the program. Around 150,000 military and civilian personnel were involved in France’s nuclear tests, with thousands of them later developing serious health problems. France has long denied responsibility for the detrimental health and environmental impacts of the tests, fearing that it would weaken the country’s nuclear program during the Cold War. In 2010, France passed a law allowing military veterans and civilians to be compensated if their cancer could be attributed to the nuclear tests. Out of approximately 1,000 people who have filed complaints against France, only 20 have been compensated. The Doel 3 nuclear reactor, near the Belgian port of Antwerp, was built in the early 1980s with a design life of four decades. Next week, that creaking reactor will be the only one in Belgium still working — a major blow to the energy security of a country that derives more than half of its electricity from nuclear power. Belgium’s grid operator Elia said in a statement last week that 700-900 Megawatts (MW) of additional electricity capacity will be needed this winter — down from a previous estimate of about 1,600 MW — if the country is to meet its electricity needs and avoid blackouts. Immobilizing nuclear waste in glass logs—a process known as vitrification—is currently used in the United States to safeguard waste from sites associated with defense activities. Some other countries also use the process to capture waste from nuclear power plants. Researchers know, however, that the glass can begin to dissolve after a long period of time, and the durability of these glass logs remains an active area of research. Japanese people object to US government conducting a subcritical nuclear test last December. People in Japan criticize US nuclear test https://www3.nhk.or.jp/nhkworld/en/news/20181010_40/ People in Japan have criticized the US government for conducting a subcritical nuclear test last December. A 39-year-old man expressed regret over the test during a visit with his baby to the Peace Memorial Park in the city of Hiroshima, which was hit by a US atomic bombing in 1945. He said it’s regrettable that the United States conducted the test, which no one wanted, despite people’s hope for peace. He said for the sake of children, he does not want nuclear weapons to exist in the future. A 52-year-old woman in the city said the administration of President Donald Trump is not moving in the right direction, while provoking the world to divide. She said she hopes the Japanese government will have its own views, without following the US administration. Shigemitsu Tanaka, the head of the atomic bomb survivors’ organization in Nagasaki, also criticized the subcritical test. He said it was a move against the UN Treaty on the Prohibition of Nuclear Weapons, which was adopted last year, and the test is unforgivable. He said he hopes the US will lead efforts to eliminate nuclear arms as the only country to have used nuclear weapons and will call on other nations to abolish them. Sammy Fretwell, The State Oct. 10, 2018 The federal government won a court victory Tuesday that could lead to the shutdown of a nuclear construction project that is billions of dollars over-budget and years from completion at the Savannah River Site near Aiken. In an afternoon ruling, the U.S. Fourth Circuit Court of Appeals overturned a lower court ruling that had halted the U.S. Department of Energy’s effort to quit building the mixed oxide fuel factory after a decade of construction. The ruling Tuesday sets aside a June 7 preliminary injunction that had stopped government plans to halt construction. The decision was a blow to advocates of the plant in South Carolina. Key politicians have pushed to keep building the project — known as MOX — because it will be a jobs provider and a way to get rid of surplus plutonium at the Savannah River Site weapons complex near Aiken. At one point, as many as 2,000 jobs were touted for the project. S.C. Attorney General Alan Wilson, who sued to force the government to keep building the plant, wasn’t happy with the ruling Tuesday. Wilson says failing to build the plant would mean plutonium, a deadly nuclear material, would be left in South Carolina. While the ruling Tuesday lifts the injunction, Wilson’s lawsuit has not been decided. Opponents of the plant, which is at least $12 billion over budget, said the court’s decision Tuesday could be the beginning of the end of the project. They say it is a waste of taxpayer money and is a dangerous way to get rid of surplus bomb-grade plutonium when other means are available. The DOE, after years of pumping up the plant, now says it isn’t worth continuing. The project has been beset with delays and questionable workmanship. “This is going to allow (the DOE) to start back up with termination,’’ said one of the project’s harshest critics, Tom Clements, who heads Savannah River Site Watch. The Union of Concerned Scientists, a national environmental group that opposes MOX, issued a late afternoon statement praising the court’s decision. Critics say a plutonium fuel factory isn’t necessary because there are other ways of disposing of excess weapons grade plutonium. The government has more recently proposed shipping much of the excess plutonium at SRS to a site in New Mexico. China will have to balance its nuclear ‘going out’ with nonproliferation concerns. The Diplomat , By Samuel Hickey, October 09, 2018 On September 21, China’s Ministry of Justice published its draft Atomic Energy Law, which urges its vast nuclear industry to go forth into the world and secure a portion of the nuclear export market. Unlike the “Gold Standard” interpretation of the “1+2+3” agreement in the U.S. Atomic Energy Act of 1954, China will not officially limit a partner country’s access to the full nuclear fuel cycle in exchange for nuclear cooperation. This is an important distinction and is the same policy that Russia subscribes to in its nuclear export agreements. While both countries may not be willing to export enrichment technology, they will not explicitly state this or preclude any future partnership on the nuclear fuel cycle. Nuclear exports are an extension of their foreign policy as they seek to secure long-term geopolitical influence and they are signaling that negotiations are always on the table with the Global South. China’s proliferation policy until Deng Xiaoping’s 1978 “reform and opening up” policy was characterized by countering the imperialist powers, and it stood firm with the Third World, arguably advocating proliferation.China now boasts a solid reputation against proliferation and support for the nuclear order, but it has shown a flexibility to negotiate with all actors; this causes concerns for the nonproliferation regime. The nuclear order currently relies on multinational efforts to constrain with whom a supplier state can partner, but this top down perspective challenges China’s nuclear energy promises to the Middle East and North Africa (MENA) region, including Iran. China has a unique opportunity to capture a significant portion of the nuclear export market because of their finance schemes and domestic experience. However, MENA states will view China as underperforming in its diplomatic promises if collaboration does not turn into geopolitical gains or enhanced security assurances. China’s efforts to influence the international order will find an audience in the MENA region as states hedge their bets against a distracted and noncommittal United States, but China will not be coaxed into overextension to prove their geopolitical worth — to the distress of MENA states. Momentum on regulating China’s nuclear industry increased with China’s Nuclear Safety Law entering into force on January 1, 2018 and the State Council’s issuance of guidelines for the standardization of the nuclear system in August. China’s domestic nuclear expansion has stalled since 2016 so it must expand to new markets and increase its bureaucratic efficiency to support its massive nuclear industry. PARANOIA AND DEFENSE PLANNING: WHY LANGUAGE MATTERS WHEN TALKING ABOUT NUCLEAR WEAPONS, War on the Rocks, JEFFREY LEWIS AND AARON STEIN OCTOBER 10, 2018 The U.S. ambassador to NATO has, when one thinks about it, just one job. No matter who holds the job, the U.S. ambassador to NATO has many priorities, as one would expect for a role that involves dealing with dozens of countries and trying to get them to agree on a coherent defense policy. But one would think that not provoking a nuclear war with Russia would be at the very top of the ambassador’s list of priorities. This seems like a no-brainer, but it helps to focus on the simple things. The United States has a special obligation to be the “adult in the room” and to keep the alliance focused on constructive responses to collective threats. This suggests a preemptive missile strike. Perhaps that’s not what she meant, but it is what she said. Hutchison has now issued a clarification, so perhaps someone has reminded her that her job is no longer riling up voters, but engaging in diplomacy. Threatening a nuclear-armed power is not something to be done lightly. But the clarification, however welcome, does not undo the very real damage that Hutchison has done. The real issue is less the cavalier nuclear threat and more that Hutchison’s lapse risks feeding a particular strain of Russian paranoia. What Hutchison meant to do was convey a perfectly reasonable sense that our patience is not infinite when it comes to Moscow’s continuing violation of the INF Treaty………. Secretary of State Mike Pompeo wants you to believe North Korea just gave up something big. It didn’t. Vox By Alex Ward@AlexWardVoxalex.ward@vox.com Oct 8, 2018, Secretary of State Mike Pompeo said on Monday that he and North Korean leader Kim Jong Un made “significant progress” over the weekend toward dismantling Pyongyang’s nuclear program. The problem is it’s not clear what advancement he’s pointing to. The two met for a nearly three-hour summit in Pyongyang on Sunday to discuss a way to break the impasse in discussions. Speaking after the meeting on Monday, Pompeo told reporters that North Korea has agreed to let international inspectors visit Punggye-ri, the site of all six of North Korea’s nuclear tests. In September 2017, Pyongyang tested a nuke there that was around seven times stronger than the bomb America dropped on Hiroshima in 1945. Letting inspectors visit the facility may sound well and good, except for one thing: It’s already been destroyed. North Korea blew up that facility in May. And although the country’s leaders had originally invited international inspectors to witness the demolition, they changed their minds and said they would only allow a small group of foreign journalists to watch. CNN, for example, could only watch the destruction from about 1,600 feet away. Letting inspectors in now to verify that the site is, in fact, destroyed is certainly a welcome step. After all, North Korea has been reluctant for years to let outsiders into its nuclear facilities and question officials at the sites. And while it’s unclear how much access the inspectors will get, it’s understandable that Pompeo is touting this as a victory………. The US and North Korea remain in a stalemate over how to dismantle Pyongyang’s nuclear program. Washington wants Pyongyang to destroy much of its nuclear arsenal upfront and offer an inventory list of all parts of its program. Kim’s regime, meanwhile, wants President Donald Trump to sign a peace declaration — a nonbinding document that would formally end the Korean War — before Pyongyang makes any concessions.